Supporting Cincinnati Children’s engagement strategy at medical conferences was never predictable. Multiple pieces were created from scratch on tight deadlines for an everchanging number of events. We decided to invent a conference support system with the budget and timeline predictability the client badly needed. 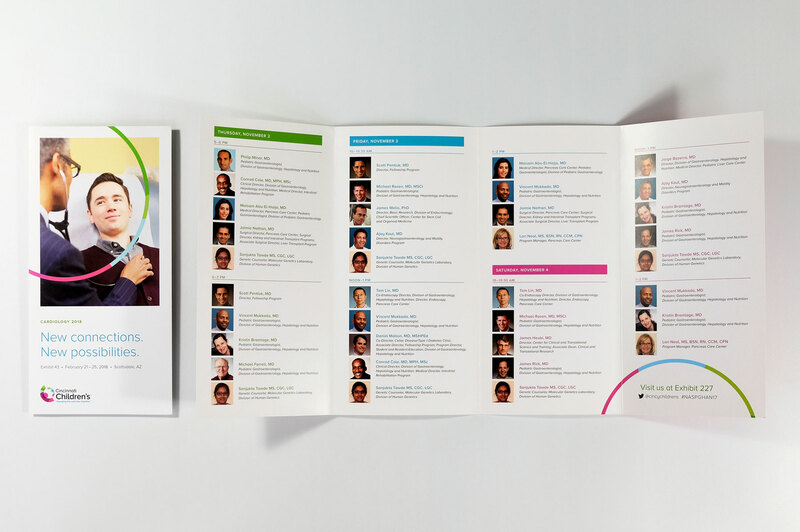 We collected a catalog of images and copy options from past conference collateral that proved effective at driving foot traffic and interaction. 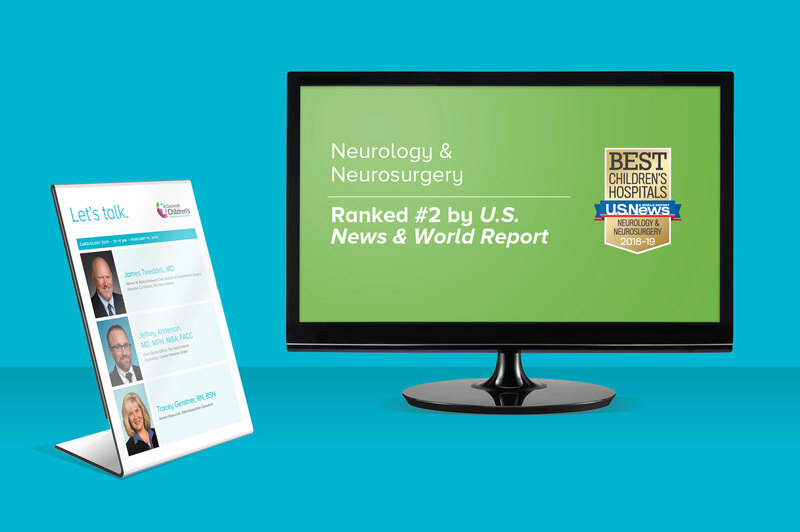 In this suite, our physician clients can easily select invitations, digital signage, evites and microsites to help boost attendance at their exhibit booth. 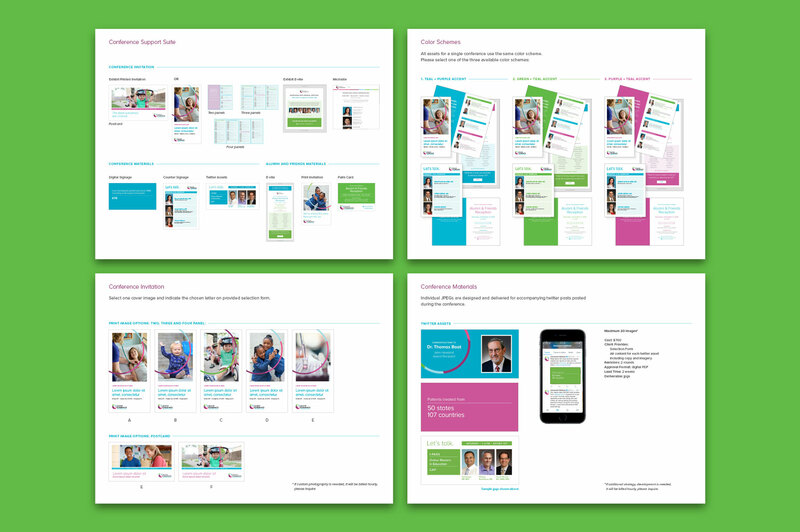 Every catalog item is pre-approved by the Children’s brand team, saving a week in review time for each conference. 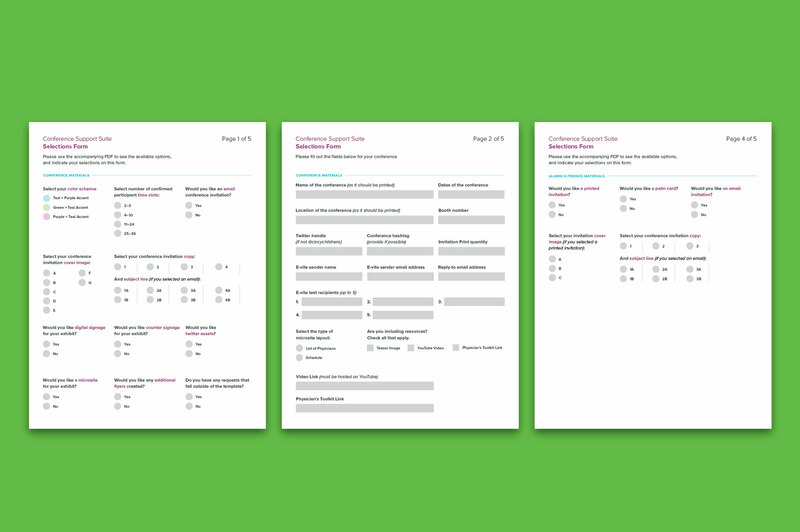 An interactive selection form helps the Children’s team make their collateral decisions in an efficient way. They simply select each item needed for their conference, including color scheme, images, size and copy elements (updated yearly). No need for an involved creative brief. Our client saves time and can easily explain support efforts to their physicians, and we get all the information we need, right up front. 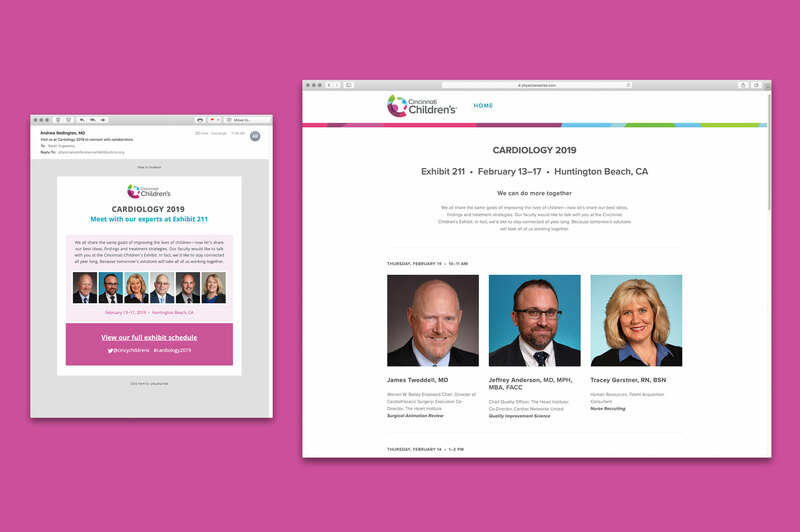 Children’s has a unique medical conference strategy—inviting conference-goers to interact with their physician faculty and leading researchers. Promoting times and topics for each physician is an effective tactic, but planners rarely know who or how many will be available until late in the process. The support suite offers multiple layouts and sizes for flexible planning. The printer is also pre-approved, so no RFP is necessary, saving even more time. Experience has shown that conference attendees will schedule their time around reconnecting with colleagues, mentors, friends and thought leaders at the Cincinnati Children’s exhibit. To help them plan, we make this information mobile with an email invite and responsive microsite with the full schedule. These features also help us track interest and engagement. Counter signs, digital signage and other exhibit elements further reinforce and reaffirm expert appearances. As a complete system, the support suite helps Children’s command each conference they attend with a cohesive presence. It has cut project production time by 3 weeks and granted our client complete budget predictability.